The cuisine of Abruzzo gets its products from agriculture, fishing and sheep-farming, this is a proof of how rich and varied is the cooking tradition of Abruzzo. 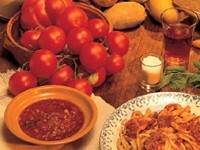 Discover the wealth of Abruzzo driving down the culinary routes to valve tipical products of the place. Typical cuisine of Abruzzo has ancient origin and it’s really in Villa Santa Maria that the first hotel school of the history was born; organized by Ferrante Caracciolo, that called young people of the place in his castle and opened the secrets of his culinary art. Since then chefs of Abruzzo, particulary those from Villa Santa Maria, became famous in the whole world. 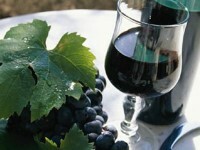 A wine-growing was practised in Abruzzo from the ancient times, as prove Plinio il Vecchio, that in his books speaks about “Vinam Trebulanum”. The production of wine than handed down for a centuries reached our days with actual 36 000 hectares of vineyard. Vineyard have place especially in the province of Chieti, but the province of Teramo stands out for a quality of it’s products. 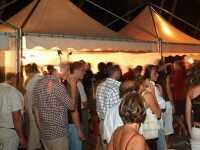 Every year city councils and pro loco of Abruzzo organize different festivals and many manifestations to promote typical wines and gastronomic products and to recall the old traditions, that are an integral part of reagional culture. To folloe we present you a list of appointments in the province of Teramo, subdivided for a month.